This article shares all the details of the kayak and explains why you should opt for this boat. This article shows how to maintain this kayak and how to keep it safe when not in use. At the end, this article proves why this is an excellent kayak and why this is a worth for the money. The Intex Mariner 4, 4-person inflatable Boat Set is an interesting and popular boat which people have mostly praised for its durability and strength. It’s made with three different layers which are separated to increase durability and strength even further. 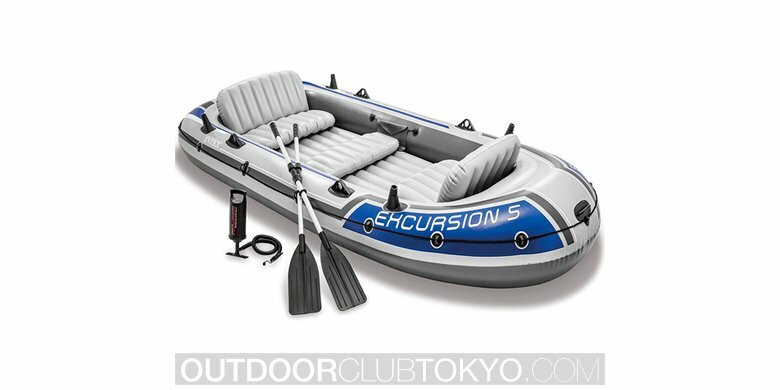 The boat also comes with an inflatable keel for better stability and control and heavy duty flooring made from plastic for extra comfort. 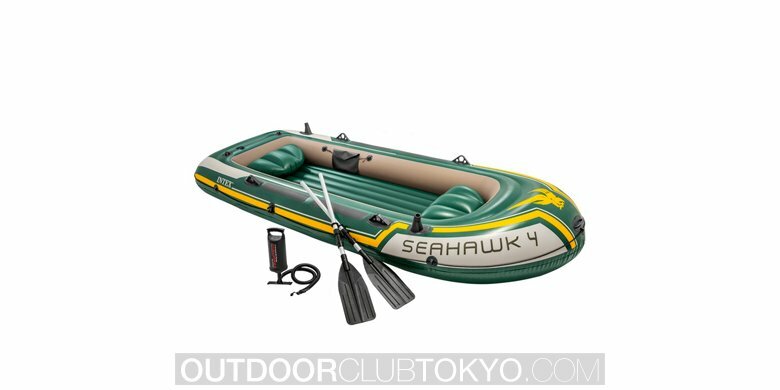 There are a lot of benefits that come with this 4-person inflatable Boat Set. It’s a boat made for four people which mean it has lots of space. If you ever want to go alone or with a friend, you’ll have much more room. Also, the floor is made in such a way to provide maximum comfort, and rigidity and the boat also come with French Oars and a High-output pump for inflation and deflation. The boat has a perfect balance of comfort and strength, and a lot of people are looking to buy this boat for their personal needs. There are two holders for fishing rods which mean that the ship can be used for fishing as well. There are grab handles on each end of the boat. The most prominent features of this product is its size. When you come into contact with this boat for the first time, you’ll be amazed at how big it is. It’s pretty big even for a boat that’s meant to hold four people! 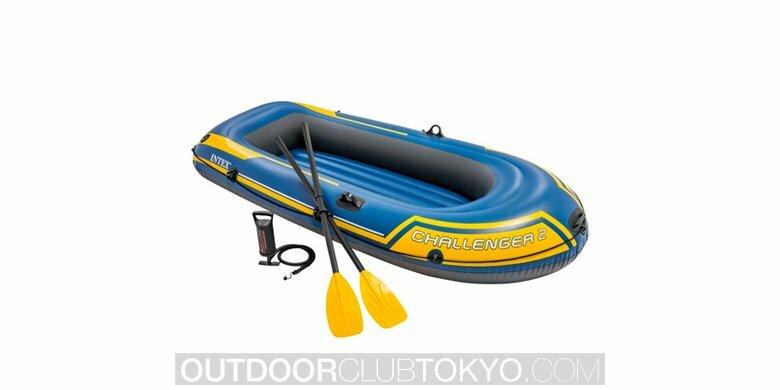 You’ll also notice how sturdy and hard it is because it’s made for rough waters but considering it’s still an inflatable boat, it’s not meant for use in rapids. You’ll find that the boat is amazing at what it’s built for. It has enough room for four people. The boat is rigid and strong. The boat is quite heavy. The downside of this Boat Set is that it’s quite heavy, and it takes more than one person to carry (which is understandable considering its size). It also might take some time to inflate it and deflate it, but it shouldn’t bother you because, as mentioned before, it’s a big boat. 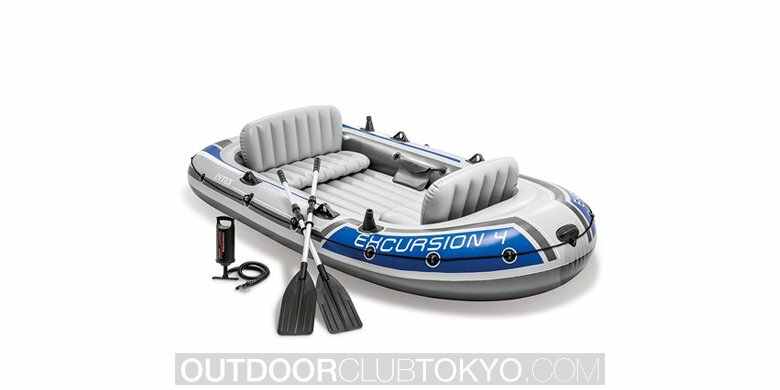 As with every inflatable boat, the mariner 4 boat isn’t a difficult product to use correctly. All you have to do is inflate it correctly, and that’s it. You’ll need patience and time because it’s big but it will all pay off in the end. It might require some extra space when it comes to storage, and regarding inflation, simply connect the High-output pump to the valves and leave it to inflate. Take care of the specific places designed to keep Oars or fishing rods. The Mariner 4 itself might be tedious to keep clean because of its size but washing it with a garden hose is a good option. Keep it tidy and try not to store it somewhere where there are sharp objects which could cut or pierce the boat. If that does happen, you could potentially be looking at a loss of money and a need for a new boat. You can keep the Oars close to the boat, so you don’t forget them when it’s time to row again. Let it dry in the sun before storing it in a darker and damper place. Remember to unfold carefully and inflate it again as not to damage the boat. Q. Can you mount a motor on the boat? – This boat does offer the possibility of putting a motor on it. However, you will need an Intex Motor Mount for it to work. Just be careful to keep the boat out of the motors reach and don’t let it cut or puncture the material. Q. What is the weight capacity? – The weight capacity is not precisely determined, but we think it can hold a bit more than the regular four people. Q. Where can you buy this kayak? – There aren’t a lot of other questions asked except a few ones about where you can buy it other than on the internet, and the answer is that there probably are a few local shops that sell this boat. All in all, the Intex Mariner 4 is an amazing, sturdy and beautiful boat. It comes in a nice grey coat and a few other color variations, but most importantly, you will get what you paid for. People have not complained almost at all about this boat which means that it’s one of the best you could buy. It can withstand quite a beating and keep floating, and it’s practical; you can go fishing, rowing, or simply relaxing in the lake. It has a multitude of functionalities and is praised everywhere. If you are looking for a great boat, even though the kayak costs a bit more, this is exactly what you are looking for. If you do choose to get this boat, you will not be disappointed, and if this boat ever gets old for you and broken, it will leave a great memory of all the great times you had using it! We highly recommend this product, and we are sure you will not regret buying it!